So what is this Shakeology stuff all about anyway? 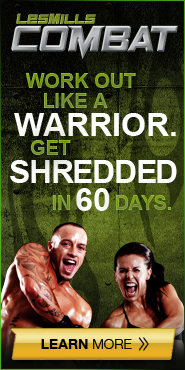 Just for bulky bodybuilders? Just for elite athletes who wear speedos to run marathons? It's for us all, and we all should drink it. My Shakeology Review is this in a nutshell: it will make you feel good. It will help control your cravings. It's a good meal on the go. It's the right thing to do. I'm generally not the type to rant and rave about stuff, but the longer I deal with Beachbody, the more impressed I am with their products. I've used a number of different protein shakes over the years and really do believe that this one stands out among the others, for a few simple reasons. 1) It tastes way better. 2) It has a really good source of fibre...and one can't go wrong with fibre! 3) It has a fantastic source of protein which is ALL NATURAL, including things like pea protein, quinoa, sprouted brown rice, ﻿chia, flax.....the list goes on. You don't generally see words like that popping up on many other protein shake tubs. 4) It contains a whole host of other superfoods to make you crazy healthy, like acerola cherry, blueberry, goji berry, grape seed, green tea, pomegranate.....loads of stuff that will make you feel fantastic! 5) It is an excellent way to get top notch nutrition into your body ON THE GO!! Being busy does not have to mean that you diet suffers. Grab a shaker cup and improve your health. It's that easy. 6) It has really helped me get control over my cravings. When I use Shakeology I don't crave/think about all the food I shouldn't be eating. 7) It makes me feel good, actually GREAT! I have energy galore! 8) It helps me stay healthy. I am not nearly as prone to colds and flu bugs when I use Shakeology regularly. 9) It helps me stay on a structured meal plan. 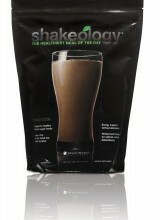 I eat better through the rest of the day when I have a Shakeology in the morning. 10) Did I mention it tastes great? Click here if you are interested in learning more about this wonderful meal replacement shake. You won't regret it.